The Minister advised Nigerians to avoid handshake as much as possible, stating that the virus is both contagious and infectious. He also said the virus could also be contacted through the sharing of bedspreads, pillow cases and towels among other personal effects with infected person. He said the disease is not airborne but at close range of a 1meter from an infected person, the disease droplets can be transmitted. The Minister also revealed that Isolation tent for each confirmed case cost the government as much as N20million. 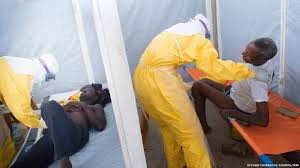 As regards the corpse of a Nigerian brought in from Liberia last week into Anambra state which caused Ebola scare in the state, the Minister said thorough examination on the corpse showed the man did not die of the deadly disease.